This image from last year's Final Four tournament shows Webster's team winning the championship for the third year in a row. This year, the team is going for an unprecedented fourth consecutive win. 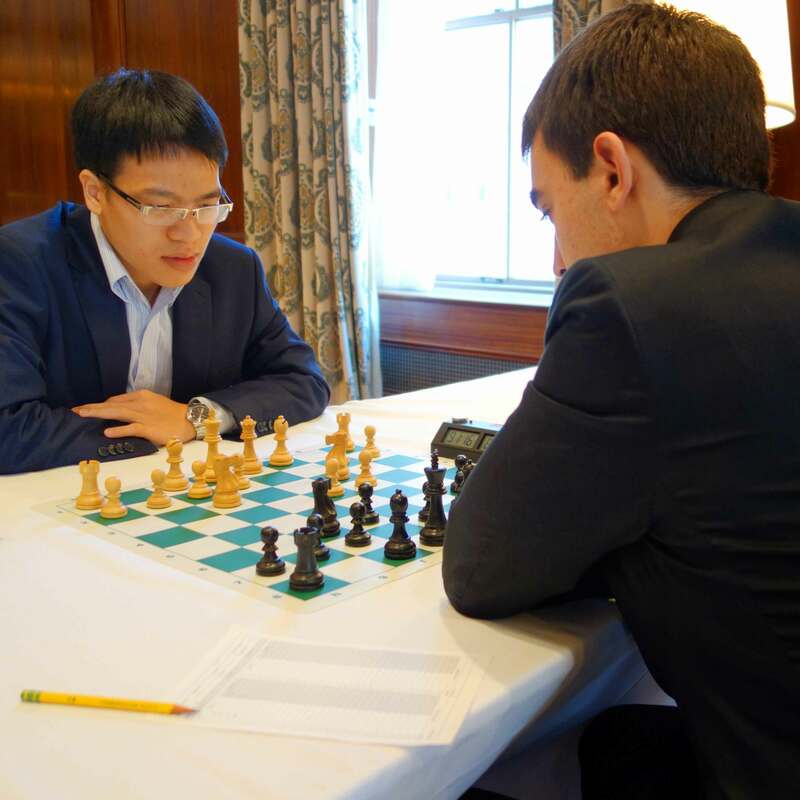 SAINT LOUIS - Webster University’s chess team is headed to New York today to defend its national championship during the 2016 College Chess Final Four tournament. This is the fourth consecutive appearance for the team, and the sixth consecutive time for Coach Susan Polgar, to make an appearance in the national collegiate chess championship. Grand Master Liem "Man of Steel" Le (Vietnam). Le is a junior majoring in finance. Grand Master Ray "Fearless Attacker" Robson (USA). He is a junior majoring in international relations. Grand Master Illya "The Brain" Nyzhnyk (Ukraine). He is a sophomore majoring in computer science. Grand Master Aleksandr "The Czar" Shimanov (Russia). He is a grad student working on his MBA. Grand Master Vasif "Mr. CrossFit" Durarbayli (Azerbaijan). He is a senior majoring in economics. Grand Master Fidel "Pinar Romancer" Corrales Jimenez (Cuba). Jimenez is a senior majoring in computer science. Four of the players will compete in the tournament, with two others available as alternates. The players are being accompanied with Polgar, coach Paul Truong, and team assistants Manuel Leon Hoyos, Denes Boros, Ashwin Jayaram, Eric Rosen, Irene Sukandar and Katerina Nemcova. The team qualified for the Final Four by tying for first place in the annual PanAm Intercollegiate Chess Championship December 27 - 30. Webster University is only the second school in the history of the PanAm tournament to take first place for four consecutive years. The Final Four tournament – also known as the President’s Cup - will be held April 2 and 3 in New York City. Webster University will compete against Columbia University, Texas Tech, and University of Texas Rio Grande Valley. For more information about Webster University’s chess program, visithttp://www.webster.edu/spice/chess-team.